UPDATE 13 September Excel file that automatically calculates profit per craft just input value of stonehide leather and obliterium on your server. Again check the wowhead's comment section on how to get this recipe. Buy all Stone Hide Leather you can from the AH below 7.5 G.
It costs 16 to make one pants and average you get around 4 Obliterium ash per crafted pants you forge. Set this as a macro this auto drags the pant from your inventory into the forge screen, keep auto loot on in interface now you just have to press the macro button and click obliterate. it costs 25 crafted pants for 1 obliterium on average. You are crafting Obliterium at 3k gold, now depending on your server the return of profit is around 2k-10k depending on stonehide mats price too. 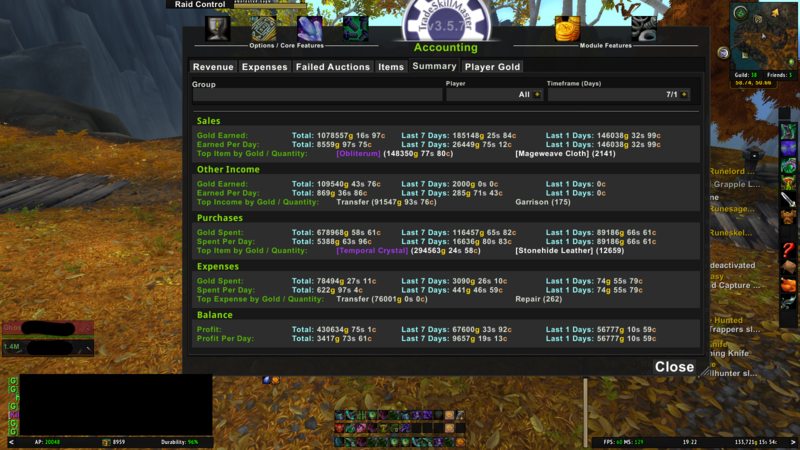 I play on most populated EU server and they sell for 7.5k, easy 3 million with the least work imanigable. Selling Obliterium 7.5k Each, 37k for 5 in New Dalaran. Awesome...i sell them for 9,5k ? Set this as a macro this auto drags the pant from your inventory into the forge scren, keep auto loot on in interface now you just have to press the macro button and click obliterate.